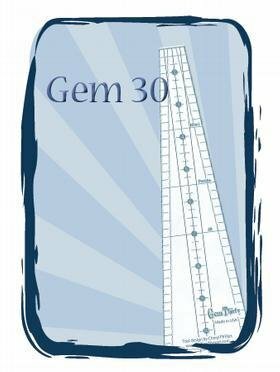 The Jewel Box Gem Thirty is a great addition to the Jewel Box family. Three Gem Thirty pieces sewn together makes a Gem Ten, it takes thirty pieces to complete a circle. The Gem Thirty makes lovely projects by itself as well.